Happy 10 year anniversary? You know, it's 10 years old now and I still don't know what Speed Hero officially is. Let's take a moment, you and I, to walk along a stream of consciousness towards defining this unexplainable feeling. I took a few minutes before beginning this article to ask myself the question: What is SpeedHero's agenda? The very reason for this question is although my current work is very automotive related, it's wrought with everything wrong. What I mean by this, is my work is very Anti-SpeedHero. If it's so easy for me to define what's not SpeedHero like, then let's figure out what that is, and we'll have a more obvious standard of what is! This makes sense....doesn't it? Money is never a motivator. Decisions should never be focused on making money. I do accept that money, or at least what it represents; Resource, is important for the progression and lubrication of an idea. The idea itself should never be to fund itself. Money is a direct representation of interest: People vote with their money. If people are not knocking on your door to vote for your ideas, don't convince them otherwise, build a better idea. -Motivation comes from giving something that's needed/wanted naturally. More mistakes made in my current financial/time exchange is an uncomfortable focus on exclusivity. Portraying luxury and class through elitism and exclusivity bothers me! The concept is to create value in those who can reach a certain standard by openly rejecting those who cannot meet the standard. I like making jokes about people, and my sense of humor is very focused around this, but I must stress that my actions are inverse of my words. My core beliefs are that everyone is to be included, welcomed, and treated as human until they choose themselves to be excluded. Their actions should reflect mine, to include and encourage all who are interested. When this exchange of humanity is broken, then the people breaking morals of decency should be the ones excluded. It's strange that what I perpetuate on my everyday hussle for food and rent money, is built on a crumbly pyramid of inhumanity, and I often feel sick because of this reality. -Everyone is welcomed to participate. -Everyone is encouraged to learn. -Actions or words are the only requests to be excluded. You choose, yourself, not to take part. It's quite important that automobile culture is the topic of assembly. People are gathering to share their appreciation for the miracle of the mechanical horse. The car and the shoe are identical. Both serve an extremely important function, and vanity through variety is an aside to the volume of humanities participation in the functions of these items. Peoples ego's and image shouldn't be their motivators for participation. It's encouraged that their appreciation of the automobile's impact on the course of history is the reason they wish to gather with others. It's never to establish a hierarchy of class for the justification of a person's existence, but rather the automobile has allowed their true contribution greater opportunity of fruition. The car has improved their lives, and they want to celebrate with others who feel the same. -Let's get together for the celebration of car culture!!!! "Let's UnBoring Car Style!" is the original slogan of SpeedHero. Its intention is a humorous reflection of Japan's obsession and misinterpretation of the English language. For me, and maybe only me, that slogan translates to exactly as above. "Let's UnBoring Car Style!" Directly means, Let's Celebrate car culture! If you're still with me, that's the answer to our query: SpeedHero is the celebration of the automobile and its culture. Is this the end of this article? It's good to come to such a concise conclusion, but we're left with a problem of time and space. It's easy to see SpeedHero's past and dig through years of articles. It's easy, and a bit saddening the present state of SpeedHero. What's the future look like? A better question is how do we celebrate car culture? This is where the well of information dries in this article. I'm very sure of how to celebrate, but I'm also very unsure how to reach these goals. A little reminder as this is not the year of the Dog. The Chinese calendar is lying to you, rather, this is the year of the Wheel. Digging all the way back to 2016, you'll find our Wheel Catalog calendar. 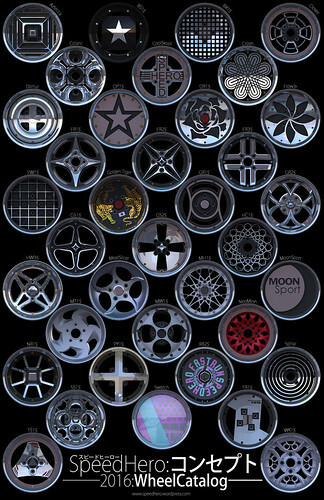 This was a Calendar that showcased a huge array of wheel designs. It's my personal interest to mix my interests and experience with industrial design, with my experience and interest in vintage Japanese cars. The result was breaking into a local college using a borrowed student pass late at night. Using their computer lab, building a 'hey man' relationship with the janitor, but mostly teaching myself CAD design software. Knowing how to take ideas from my brain and have them appear on a computer screen in front of me is the same as learning a new language. Translating ideas into communicative mediums. Now it's time to translate them from the computer to being actually in my hands. This translation has already occurred this year in the form of some prototyping. However, it's my goal by the end of the year to have a solid, usable prototype. We're working on this goal. What else can be done? The answer is infinite, but it's pulling a few clear ideas from the blurry pool of infinity and sharing them with you. These ideas need to reflect the values of SpeedHero. We celebrate car culture together, you and I! Running a magazine, youtube channel, or other forms of consumable media excites me but also challenges me greatly. The challenge isn't from the content creation immediately but from the insecurity of a venture on the wings of an unstable bird. It means quitting my job and taking a jump off a very blind cliff. I dream of becoming a professional drifter. However, it's not standard to your expectation of that sentence. I don't enjoy participating in competition drifting. The professional drifting I dream of is that of a vagabond who glides from event to event participating in the fun exchange of drifting with friends. 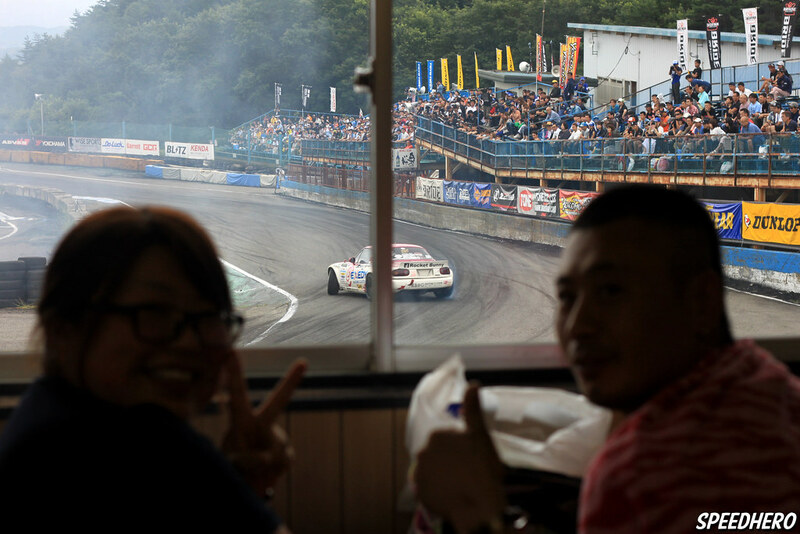 Building new friends in every city I go, driving with them, and perpetuating my values of drifting and SpeedHero would be my ideal of a professional drifter. Selling wheels and goods seems to be the most attainable idea, but it's important to me that there's a reason for the goods I pedal. I'm not interested in milking the pennies from people with no exchange of true value. It's easy to buy something, mark it up, and absorb someones cash. It's something I have resorted to at times of desperation. I have guilt and wish to resolve future guilt by exchanging items and goods that offer purpose, progression, and comfort in existence beyond my own sense of vanity. I want the items and products to give to the point where I feel I got the worse end of the deal, that my customer feels ahead when they receive their item. Currently, I teach performance driving, both as a job and as a volunteer. I'd like to run more SpeedHero events in the future and less for other people. With control over these events, I can focus the events on promoting more of what SpeedHero values than the pockets of people who seek to solidify their rung of social class. In the meantime, I'll have a mean time. I come to a stone wall with where to go further with this article. If there is a celebration of car culture that seems obvious to you, please share it.